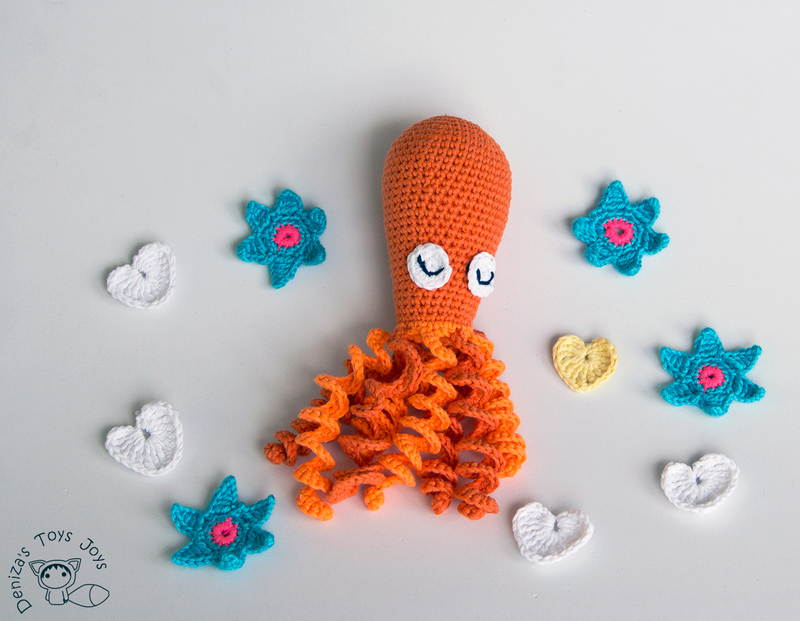 Here is a lovely amigurumi toy octopus! 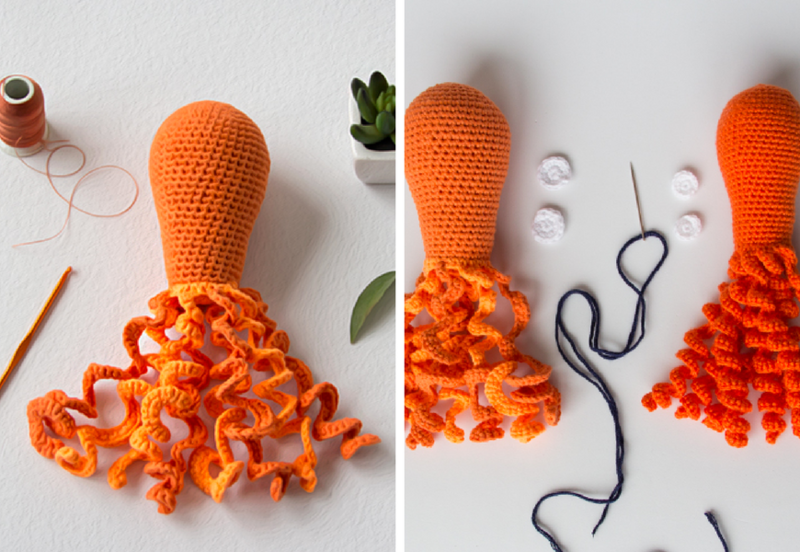 It’s quite pretty and easy to make. 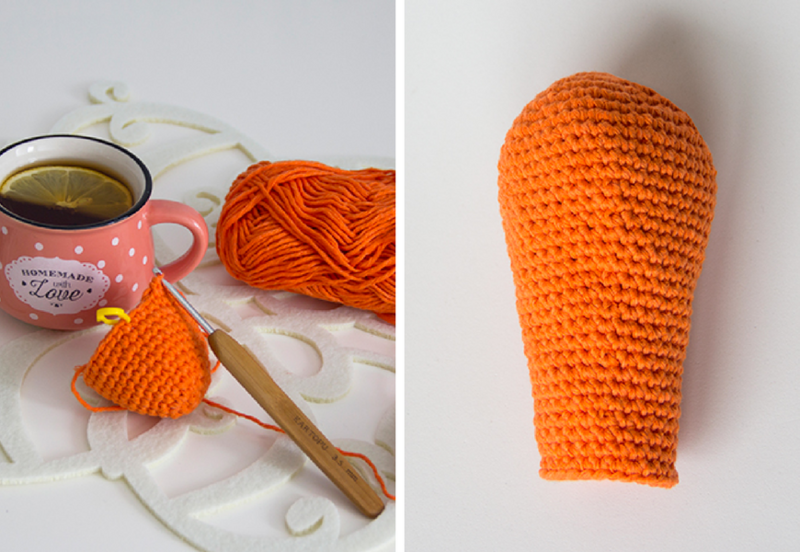 We have a free pattern and a good tutorial for you; let’s learn how to make it. 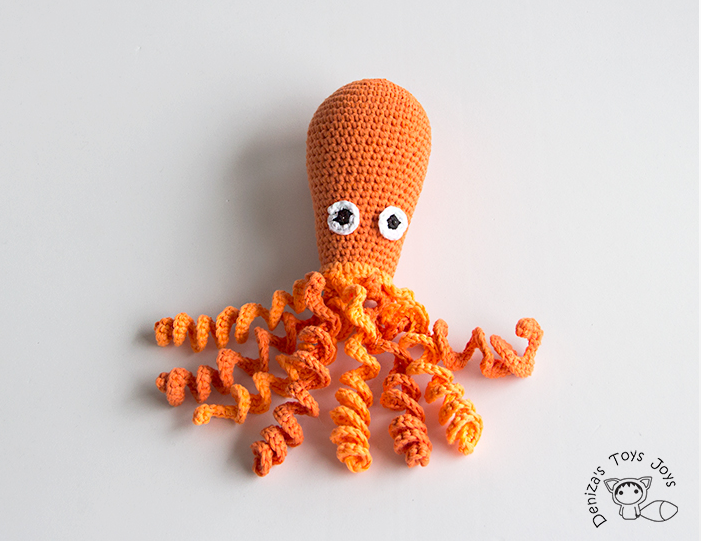 The finished octopus is approximately 10,5’’ / 27 cm / tall. Each piece begins with a “ring”. Use any type of ring you are comfortable with (i.e. 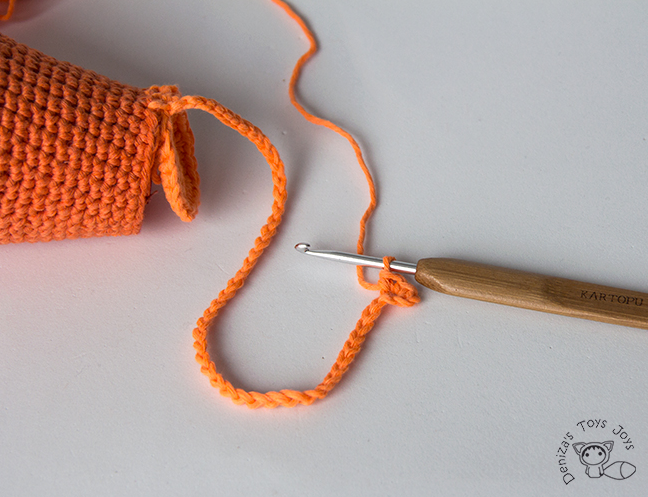 adjustable loop, chain 2 and single crochet in second chain, etc.). 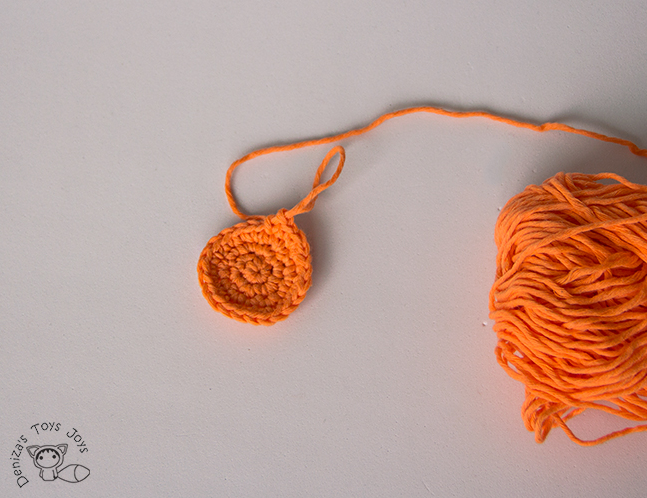 Work in one continuous spiral and mark the last stitch of each round to keep track of where you are. Finish with a sl st and pull the thread through. Weave in the ends. 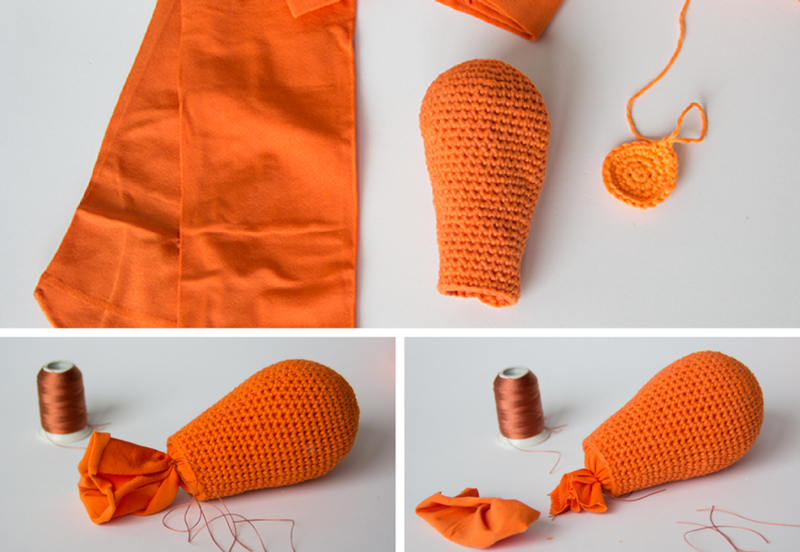 If you make this toy to help comfort premature babies or other infants, I recommend to use cotton sock for stuffing. This will definitely keep the stuffing inside preventing children from pulling it out since they love to poke and pull at their toys. 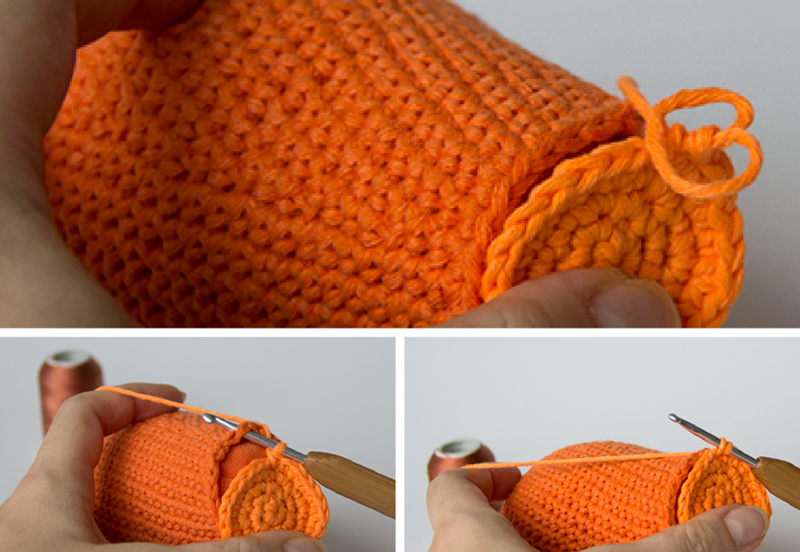 Insert a piece of stocking which is big enough to be stretched to fill what your completed project will approximately be. 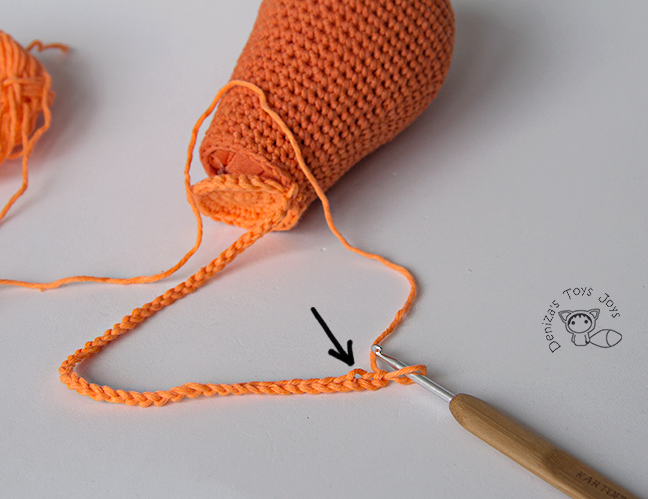 When you are nearly closed, cut off the excess stocking and sew it closed with a sewing needle and thread as shown below. Now put the bottom circle on to the body. Hook through both parts as seen below. Yarn over, pull through. 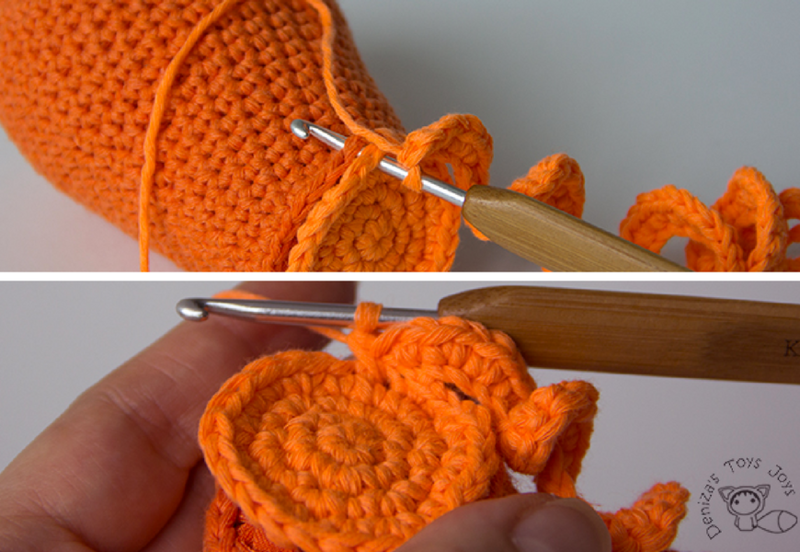 into 2nd stitch from the hook make 1 Inc – 2 single crochet into one, repeat the same all along, you’ll have the curly look. Then make 2 sc through head and bottom. Repeat 7 times more. Start to make another tentacle, again 50 chain stitches and again 2 sc throughout head and bottom. 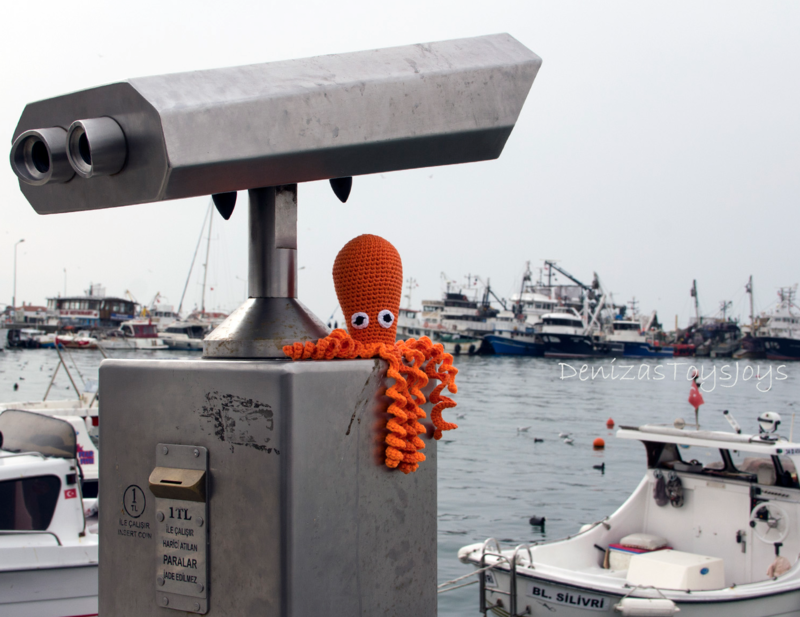 There will be 8 tentacles. 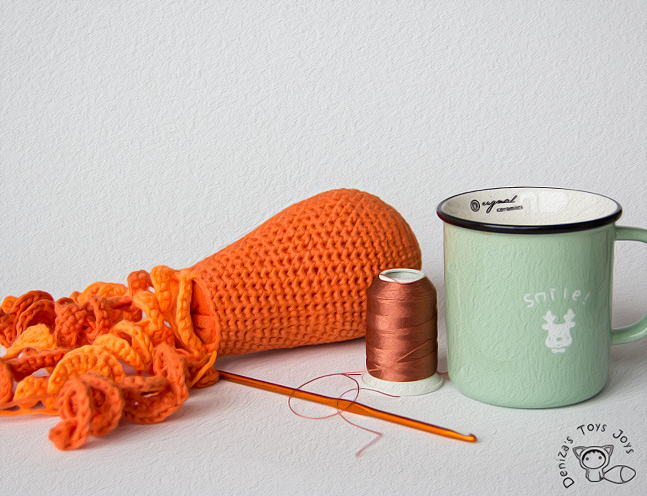 Stitch the eyelashes on with a tapestry needle and black yarn. Sew eyes to the head. Voila! 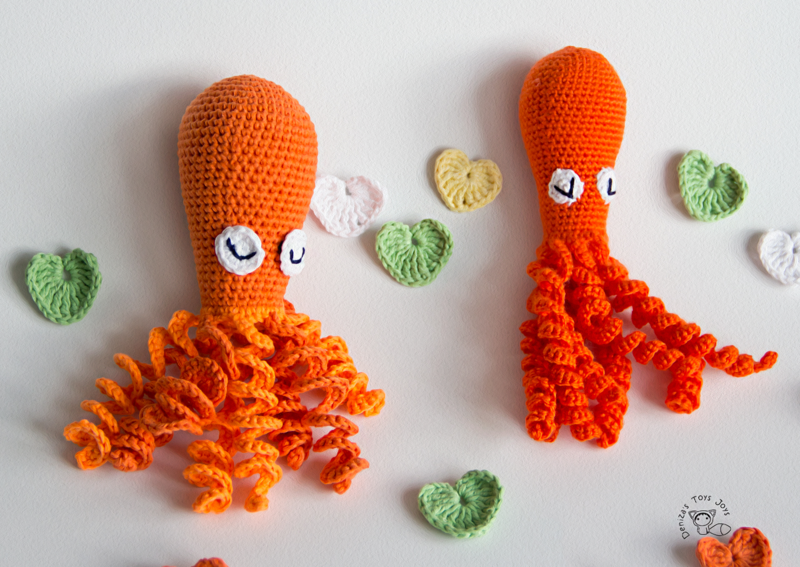 You have a lovely amigurumi octopus in your hands! Do not (re)sell, including translations to other languages; do not redistribute, including publishing on the internet. 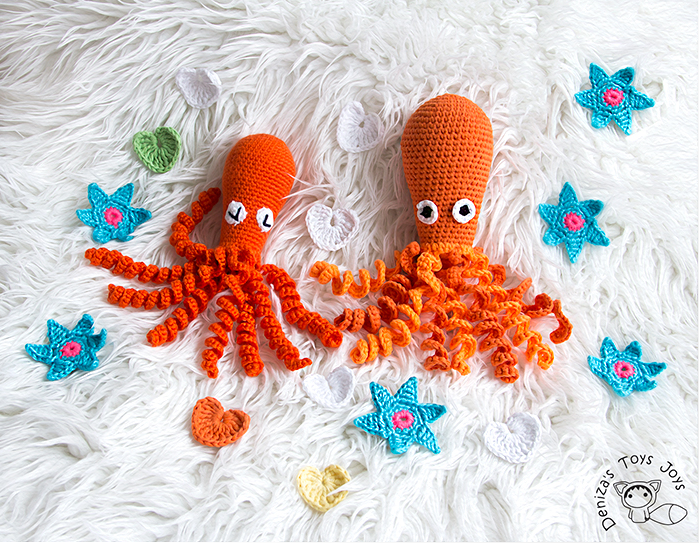 Please provide a link to my pattern store if you are selling your finished toys online. Thank you!